The following is Part 2 in a series discussing my belief that fiat currency regimes with central banks ultimately result in increasing amounts of leverage. Part 1 can be found here. I have to admit, I was about to “pull the pin” on writing this second part of my series on central banking and monetary policy. I was a bit over my skis on the topic. I couldn’t quite put my finger on how and why central banks elevate leverage levels in an economy despite it being a common feature of most fiat currency regimes. Then, I had a Minsky moment. No, I didn’t experience a sudden, major collapse. Rather, Minsky’s work was the missing link to my hypothesis. Central banks don’t create money. My introduction to Hyman Minsky’s view on money and banking came via a 1993 paper by L. Randall Wray, one of his disciples. While I don’t agree with all of Minsky’s views—and vehemently oppose many associated with Dr. Wray’s Modern Monetary Theory (MMT)—they make some truly insightful observations about the nature of money and role banks play in a modern economy. Keep in mind that I’m a huge fan of the Austrian greats, so I don’t say that lightly! Before starting, please note two items. First—and I can’t stress this enough—I think MMT is seriously flawed and is a dangerous theory for reasons outside the scope of this article. This does not, however, invalidate the following observations. Second, I do not intend to prove any of Dr. Wray’s characterizations that I highlight. For that, read the referenced paper. The most foundational concept that Dr. Wray introduces is the reconceptualization of money altogether from being a “thing” (i.e. dollars, yen, gold, etc.) to being a standard unit of account (like a minute, meter, or ounce). Transactions, he contends, are credit-based and money is how we account for them. If I buy your bread, I owe you money; I am indebted to you for the value of the bread. The money owed to you is a way of accounting for this debt. How do we settle it? I deliver a physical form of acceptable money to you (dollars, yen, gold, barley, bitcoin, etc.) that extinguishes my obligation. Thus, money is not a store of value or medium of exchange. It is only a common unit of account. This characterization of money as a credit-based unit of account first struck me as odd. However, it quickly made sense when using Henry Hazlitt’s clarification of credit. Credit represents not a debt obligation, but rather actual or potential productiveness. Thus, the exchange of money is really the exchange of credits and physical money (i.e. currency) serves as proof. 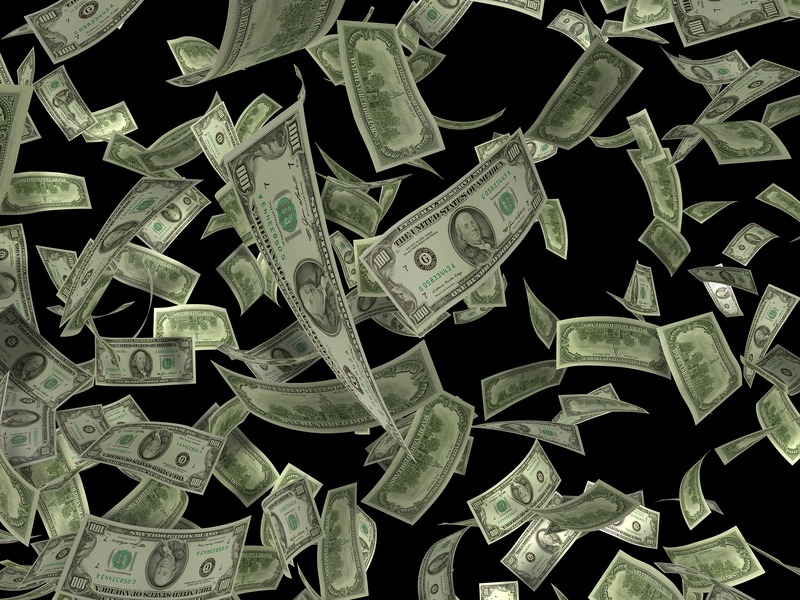 Since money is an accounting standard, all production in an economy is monetary production. If I grow and harvest a bushel of corn, I account for its worth in money terms. In a sense, I credit my account for the value of the corn that I produced which I can now use in exchange for other things. Thus, money cannot be created (or destroyed) apart from a productive process. They are one in the same. Contrary to popular belief, only private banks create money. Please note that for the remainder of this article I will use “banks” to also include finance companies. This becomes logical in the context of the preceding fact pattern. Monetary production references real world production. The latter can’t be conjured out of thin air. Thus, neither can the former. Hence, central banks can’t create money. Private banks create money by “[facilitating] intertemporal exchange transactions between buyers and sellers” as Robert William Vivian and Nic Spearman note in Banks and Money Creation ‘Out of Nothing’. When the monetary value of a loan is employed productively, the increase in commercial output is accounted for as increase in the money supply. This serves as proof of economic expansion. Intertemporal exchange is facilitated through the employment of leverage and prudential management of liquidity. Dr. Wray dispels the common misconception that banks lend out idle reserves. Rather, he shows, banks borrow money in order to lend. Reserves are held solely to manage daily liquidity needs (such as withdrawals and to cover credit losses). In other words, banks engage in carry trades. Why else would they pay for deposits?! Hence, a bank’s balance sheet is leveraged. It borrows to lend and earns the spread between what it receives from its asset portfolio and what it pays on its liabilities. By managing the relationship between assets, liabilities, and liquidity banks arbitrage time preference across markets and expand the overall productiveness of an economy. Thus, it is the profit motives and risk tolerances of bankers that drive economic activity and the money supply, not any central bank. A banker’s most critical role is to manage liquidity! A lack of liquidity (which can result from poor underwriting) creates bank failures. Note that central banks play no role in the value creation chain described above. Their additions or subtractions of reserves (the so-called “money” they print) have no direct impact on the money supply. The expansion of shadow banking and collateralized lending are testaments to this. Banks (largely) operate autonomously. “Total credit market assets held by U.S. financial institutions (excluding the monetary authorities) rose by $32.3 trillion from 1981 to 2006 (744%). Commercial bank reserves held as deposits at the Federal Reserve fell by $6.5 billion during the same period. 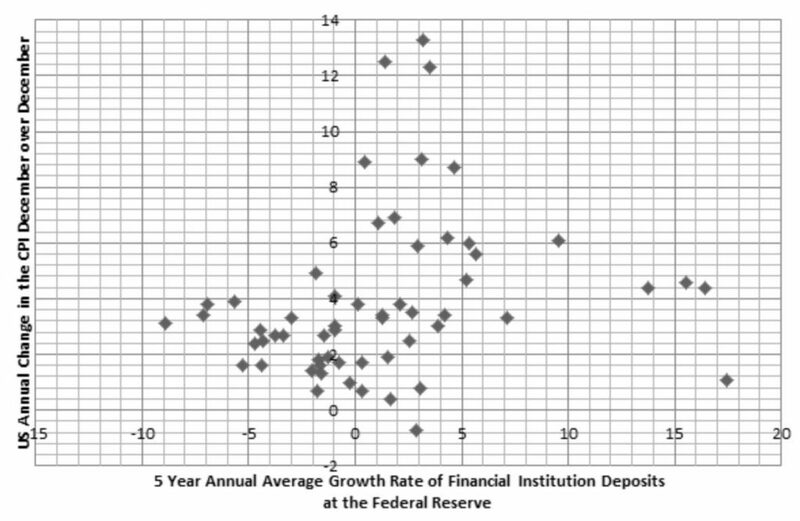 These findings can also explain why the Federal Reserve (Fed) ceased targeting the money supply under Alan Greenspan. Instead, it turned its focus to inflation. Unbeknownst to the “Maestro” and academia, the banking sector was operating outside of—and independently from—the Fed’s monetary policy. What is hailed as the Great Moderation was merely the evolution and expansion of the global shadow banking system. Gold is not money, nor is any other commodity. Money is a standard unit of account. However, money can be, and was, defined in terms of commodities. A “dollar”—the standard measure in the U.S.—was at one time specified as an exact weight of gold. This tie to the physical world ensured that the monetary standard itself could not be tampered with. 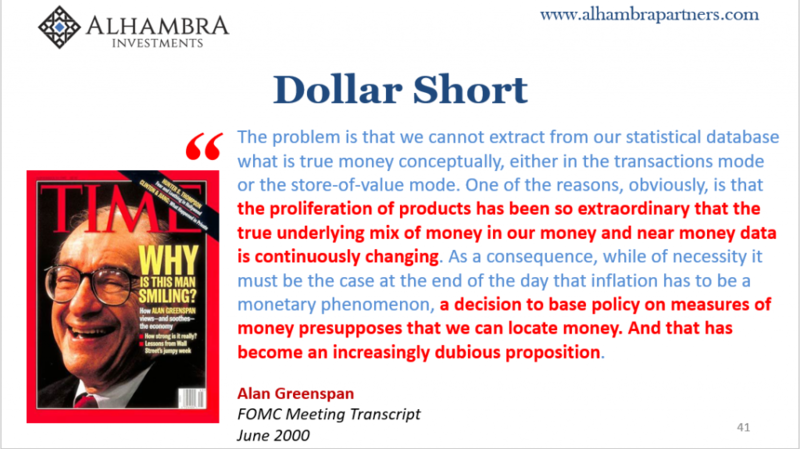 Thus, “coin clipping” and other nefarious devaluation techniques could not debase money. It only impacted the currency and, as a result, created inflation. The values of goods and services didn’t change. The amount of coins required to obtain them did. This helps explain why inflation is a solely a product of (governmental) tampering. You can steal value from the currency but monetary values remain unchanged. The real world cannot be manipulated. The financial system is built through pyramiding. Banks hold liabilities of other institutions as assets. This interconnects financial institutions. Thus, if a bank defaults, not only do those holding its liabilities have a problem, but institutions holding those banks’ paper might as well. It’s leveraging leverage. Pyramiding is a double-edged sword. On one hand it allows for monetary growth to be elastic—an essential characteristic of a dynamic economy. On the other, it increases liquidity risk by correlating one bank’s financial well-being to others. This is how subprime housing defaults brought the global financial system down to its knees. Credit losses quickly propagated from one bank to another. In grasping these concepts I began to see how little a role central banks play in the economy. Money is only created by true economic expansion. Private banks engaged in carry trades that arbitrage market participants’ time preferences facilitate this production. The process occurs beyond the direct influence of central banks. If the Fed doesn’t control money then what does it do? It clearly plays some role. I plan to explore just this in a forthcoming article. Hopefully it can help shed some light on the Fed’s actual impacts in the markets and the economy, and show why Powell’s decisions will greater impact his reputation and self-esteem more than actual monetary policy. How very lawyerly of the author. Without the Fed creation of reserves out of thin air private banks would not have the “reserve” basis upon which to leverage and thus could not engage in “the value(?!? )” process of fractional reserve currency debasement (or “impact on the money supply” euphemistically). The later wouldn’t exist without the former. Thanks for your thoughts Jim. There is an entire, and significantly larger, lending universe that exists beyond the traditional banking system. Banks use repo, derivatives, and all sorts of other collateralize funding schemes, more so than bank reserves. So I’m sorry, they don’t need access to the Fed’s reserves to lend. That is an antiquated view and one that I too held prior. There’s no better source than Jeffrey Snider on this topic. Check out his Eurodollar University podcast series on MacroVoices.